The yarn from All Things Heather’s fundraiser finally reached my mailbox and it’s gorgeous! 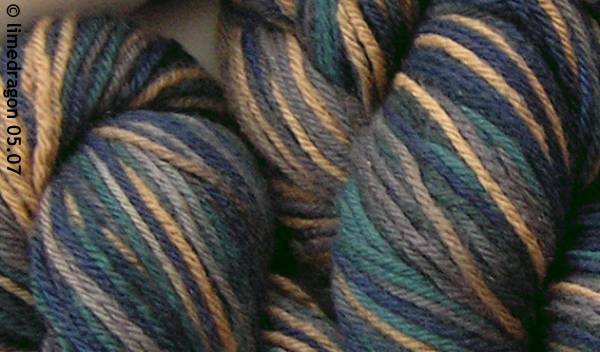 I requested a gender-neutral color because I will donate the socks I knit with this yarn. I couldn’t be happier with these deep-blue green colors. A box came from Knit Picks full of blue yarn. Honestly, after the brilliant hues above, these colors are somewhat bland. They’re not terrible, just ordinary. 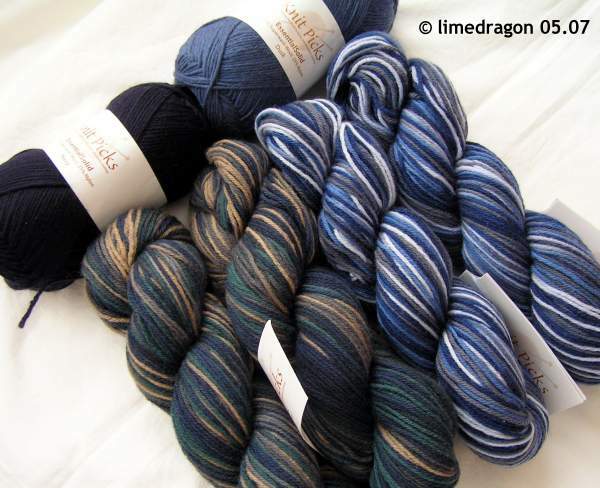 The two small skeins at the left/top are Knit Picks Essential in Navy and Dusk. These will become socks for my Sockapalooooza pal. 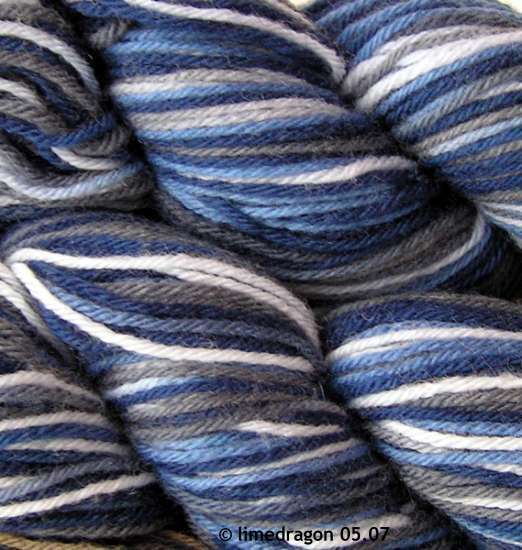 The two Memories colorways will be gifted during the upcoming swaps, Yukon is above, below is Cape Cod. You should have shown us the KnitPicks first!! 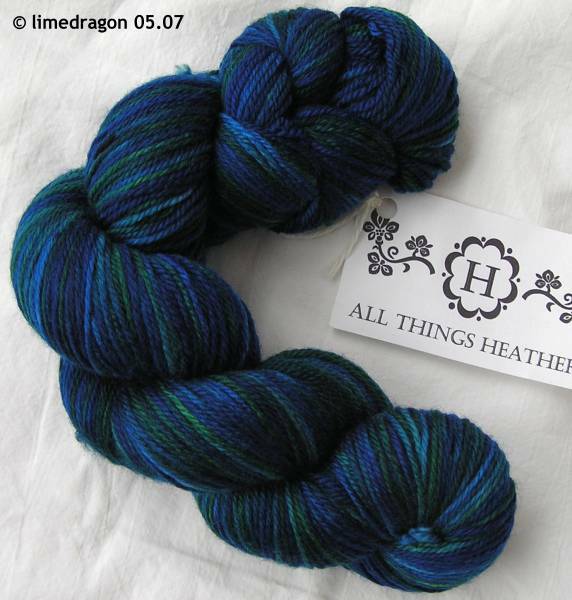 Oh, the All Things Heather is gorgeous! My skein arrived, too, and it’s yummy. I think I forgot to post about it. Maybe. It blurs. 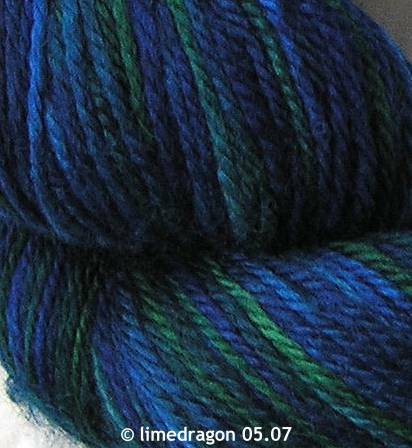 Oh wowsa, lovin’ the all things heathers yarn. Yes, a package from knitpicks is always great, unless it is overshadowed by something from a hand-dyer. I just love the All Things Heather colourway. I’d love to know how you like the Essential too. And it’s really hard to compete with hand-dyed yarn. Beautiful blues. You have lots of fun knitting in your future. I LOVE the Yukon!! Those blues look gorgeous. I love the colours of All Things Heather!